Home » Why Is My AC Unit Leaking Water? If you observe water leaking from your AC unit, sometimes the first instinct people have is to pick up the phone and call a professional. In actuality, some condensation from your AC unit is totally fine and to be expected in certain circumstances. For instance, if it is very hot and humid outside and the thermostat setting is low, the unit will produce some condensation because it is working really hard to cool your house down. If you’re unsure if your AC unit is producing a normal amount of condensation or if it’s leaking too much, it’s best to call an HVAC repair company to inspect. As a general rule of thumb, your AC unit should only produce condensation while it is running. This condensation should dry up within 1 day or so. If your air conditioner is leaking lots of water inside your home, however, this is cause for major concern. First, turn of your AC unit immediately and call a professional. You need to act fast to prevent water damage from causing even more damage to your home and expensive repair bills. If your AC unit is leaking, it could be a result of any of the following problems. Blocked Condensation Drain. A very common cause of leaking AC units is a blocked condensation pipe. The purpose of the condensation pipe is to drain condensation from the overflow pan to the drainpipe. So, if this line gets plugged up with dirt, dust, sludge or mold, water will back up and flood. There are some newer models of AC units that automatically shut off if it detects overflow, so if you have an older AC model, you are more at risk for a blocked condensation drain. Damaged Condensate Pan. If you have an older AC unit, it’s possible that the drain pan could be rusted or corroded and leaking water through the pan. Condensate pans are typically located under the AC unit and are easy to check yourself. Simply take a flashlight and inspect it for corrosion, holes or cracks. Dirty Air Filters. When air filters get too dirty, they can block airflow over the evaporator coil, which can get too cold and freeze over. When it melts, it can drip excess water into the pan and flood it. It’s always important to change your air filter regularly, every couple of months. During the summer months, it’s recommended to check it more frequently, every couple of weeks. Low Refrigerant Levels. Similar to the cause and effect of a dirty air filter, low refrigerant levels will also lower the overall pressure in the AC unit and cause the evaporator coil to freeze. So, when it melts, excess water overflows the drain pan causing potential flooding. Sometimes the causes of low refrigerant levels can be repaired, but it many cases it’s an indicator that you might need to replace your entire unit. Broken Condensate Pump. For those homeowners that have their AC unit or furnace installed in the basement, there will be a condensate pump that channels the water outside. If this pump is damaged or not properly installed it can cause water to leak inside your home. If this is the case, it will need to be fixed or replaced. Improper Installation. 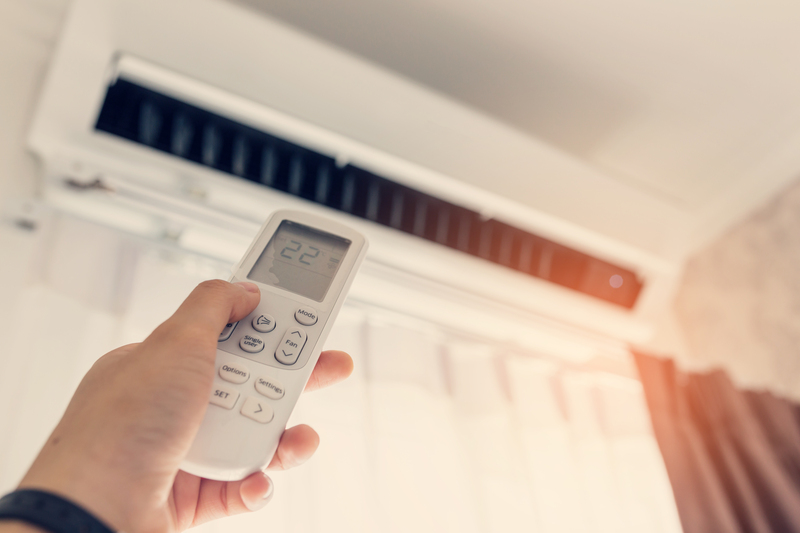 If you’ve recently had a brand new AC unit installed and you’re already experiencing water leaks, it’s likely the unit could have been improperly installed or could even be too big or too small for your home. An HVAC technician can help you assess. 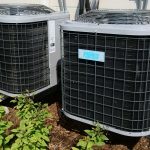 If you are experiencing leaks from your air conditioner and you need an HVAC contractor in NYC, you can rely on the experts at Figlia & Sons to solve the problem efficiently and quickly. With over 50 years of experience in the installation, repair, and replacement of HVAC equipment in NYC, our highly skilled technicians will provide fast and reliable service to your unit. Call us today at 917-979-5731 to speak with a knowledgeable representative from our team!